A sleek way to carry your files and tech equipment while travelling. Secure zippered top. 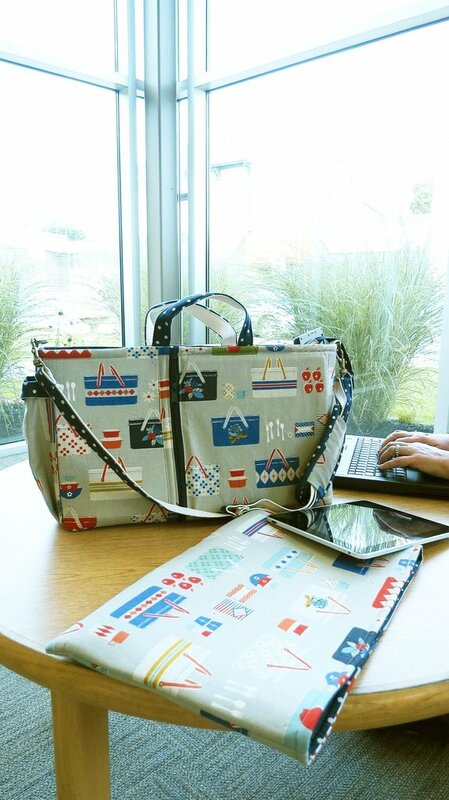 Slip an iPad into the double-padded zippered outer pocket and slide your laptop into the adjustable and removable sleeve. Handy luggage strap, padded straps and handles, side pocket with magnetic closure. Instructions for 2 sizes. Small fits up to a 16" x 10 1/2" computer and accessories. Large fits up to a 17 1/2" x 11 3/4" computer and accessories. Computer sleeve is adjustable and fits inside the bag.